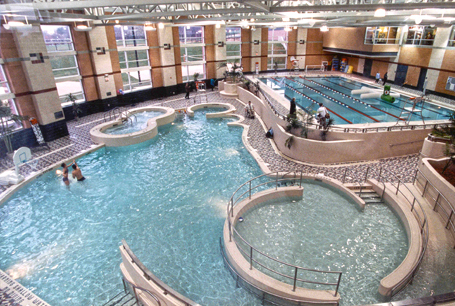 Counsilman-Hunsaker, selected as the lead aquatic consultant with Hastings & Chivetta, designed this first-class student recreation and wellness center at Kent State University. The existing facility was outdated, overcrowded, and unable to accommodate the university and community programming and activity needs. Responsible for the aquatic component of the new center, Counsilman-Hunsaker designed an aquatic facility that offered a variety of fitness and leisure activities in a state-of-the-art setting. The new facility meets both leisure and fitness programming objectives, and fulfills the university’s goal of providing the collegiate community with a complete aquatic package.